Vladimir Putin has had what's being described by NBC as "a fascinating conversation" with the network’s new host, Megyn Kelly, in which they discussed "a range of subjects, from sanctions to Syria," as well as Moscow's alleged meddling in US politics. "I asked him all about Jared Kushner, President Trump's son-in-law, and what connections they have had and what they have discussed, and I asked him specifically about somebody else very much in the news, and that is President Trump's now fired national security adviser, General Michael Flynn," Kelly said on NBC, previewing her exclusive interview with the Russian president. The US journalist interviewed Putin at the St. Petersburg International Economic Forum (SPIEF) earlier this week, and had a sit-down separately with him on Friday. During the interview, which is due to air Sunday evening during the premiere of "Sunday Night with Megyn Kelly" on NBC, the host brought up the topic of a photograph taken in Moscow last year. 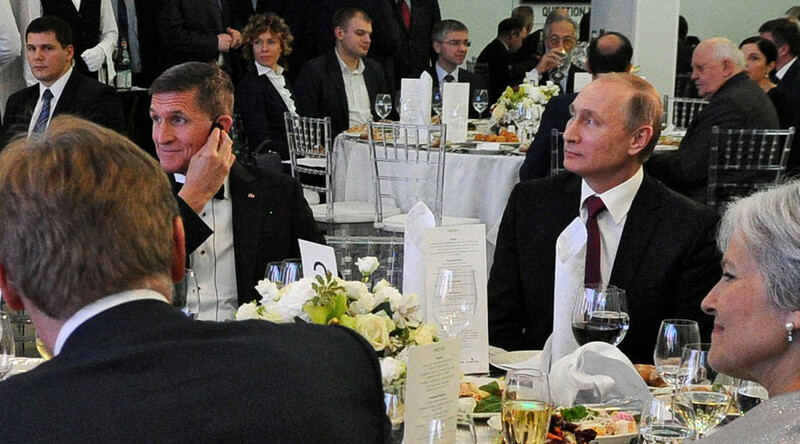 In the picture, which has been widely circulated in the American media, President Putin is seen sitting at a table during a dinner celebrating 10 years of RT, next to the man who served as adviser to Trump's presidential campaign. Putin claimed the picture pretty much demonstrates "the extent of [his] acquaintance with Mr. Flynn." "You and I, you and I personally, have a much closer relationship than I had with Mr. Flynn," he told Kelly in comments in Russian, which were translated into English. "You and I met yesterday evening. You and I have been working together all day today. And now we're meeting again. "When I came to the event for our company, Russia Today [RT], and sat down at the table, next to me there was a gentleman sitting on one side. I made my speech. Then we talked about some other stuff. And I got up and left. And then afterwards I was told, 'You know there was an American gentleman. He was involved in some things. He used to be in the security services,' That's it. I didn't even really talk to him," Putin said. He added, "If Mr. Flynn and I had this kind of interaction, while you and I, we have spent an entire day together, and Mr. Flynn was fired from his job, you then should be arrested and put in jail." 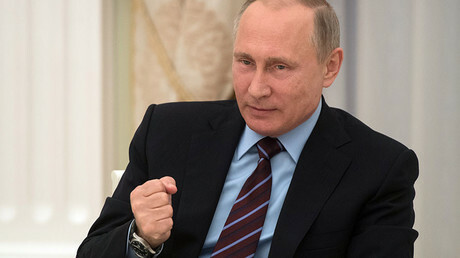 The whole issue of Moscow's alleged connections with Donald Trump's people and accusations of interference with US elections had been "selected by someone as a line of attack against the current [US] president," Putin told the NBC host. "This isn't for us to get into, these are your domestic political squabbles. So you deal with them. Nothing to talk about... I just find it amazing how you created a sensation where there wasn't anything at all. And proceeded to turn that sensation into a tool for fighting the sitting president. You know, you're just very resourceful people there, well done, probably your lives there are boring," he said. When the US journalist asked the Russian leader to comment on alleged meetings between Russia's Ambassador to the US, Sergey Kislyak, and "anybody from the Trump campaign," the president said he "honestly" had "no clue." It isn't any ambassador's work to report to the president on his "routine work," Putin explained. "[The ambassador's] boss is the foreign minister. Do you think I have the time to talk to our ambassadors all over the world every day? This is nonsense," he said, adding, "Had there been something out of the ordinary, something remarkable, he of course would have advised the minister and the minister would have informed me. "Nothing of that [kind] happened." Having reiterated that the classified intelligence agencies' reports on Moscow's alleged meddling in the US presidential election contain no "direct proof," Putin said that officials in the US "have been misled and they are not analyzing the information in its entirety." "We have talked about it with former President Obama and with several other officials. No one ever showed me any direct evidence," the Russian president told Kelly, adding that modern information technology allows people to "mask and camouflage" any hacking attack in a way so that no one would ever be able to track its origin. "The other thing is that I am deeply convinced that no interference from the outside, in any country, even a small one, let alone in such a vast and great power as the United States, can influence the final outcome of the elections. It is not possible. Ever," Putin said. According to the American journalist, following her professional encounter with the Russian leader she can describe Putin as a "very gracious" person, at least off camera. The day before the interviews, "he and I had spent a good hour together, along with Prime Minister Modi of India, and exchanged all sorts of information about ourselves, our families," she said. "[Putin] talked openly about his family, and it was off the record so I won't get into it, but he talked lovingly about his family," the NBC host said.